Oh boy. This is probably a good time for a recap. If you haven't been paying attention, the last few months have been piping hot with clues of multiple companies making a move to market what seems to be the next big thing: smartwatches. Allow us to refresh your memory. Joining Sony and Kickstarter-backed Pebble are Google, Samsung, and Apple. Oh, and Qualcomm. Intel, too. By the way, LG and Foxconn said they also want a piece of the future action. And now – Dell! Excitement aside (okay, not quite! ), it looks like by the end of the year, we may be one step closer to science-fiction. So, Dell. 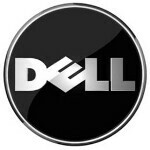 If you have been following the news, you'll know by now that Dell has been in an unenviable position, as the giant manufacturer's woes continue – worldwide PC sales are on the low and Dell has been losing market share in the industry to rivals like Chinese Lenovo. "Michael Dell believes we are on the right page for transformation. The view is that we can get ourselves out of the quarterly reporting process where you can't make hard decisions to speed up that transformation." "Looking ahead five years, we expect devices and form factors to continue to change. There will still be a need for 'static' computing on desktops, but there will be a real need for mobile devices. There's a lot of discussion about how that fits into wearable devices like we've seen with Google Glass and watches. We're looking at a world of lots of connected devices." HA!, i thought i read dell may be headed to smartwatch market! then i got it,to smartly watch the sales of good companies increase! I hope the Samsung Galaxy Altius is officially announced soon and that it really looks like all the leaked images. I love the design of the watch itself but the UI looks really nice too. I hope these top OEMs make smartwatches for windows phones too. Windows is dead.Don't wait for windows,just buy android.